This is the perfect way to kick off a romantic evening for two. It's also the most personal way to reach out when a physical touch isn't on the table. Put two bottles of Heineken on the table instead, and your message is destined to hit home. 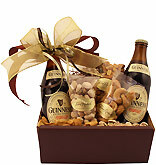 I wanted to surprise my aunt for her 80th birthday with beer, especially Heinekens and was pleasantly surprised to come across Beergifts.com!! It was delivered ON her birthday and she was so excited to receive the basket. 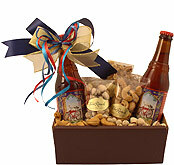 I will highly recommend this site for future gift baskets!! 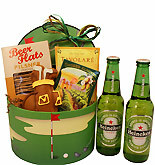 My BFF really likes Heineken so this gift box was the perfect thank you gift. I ordered on a Monday and it arrived on Wednesday. She told me the nuts and beer made her day! Thanks!